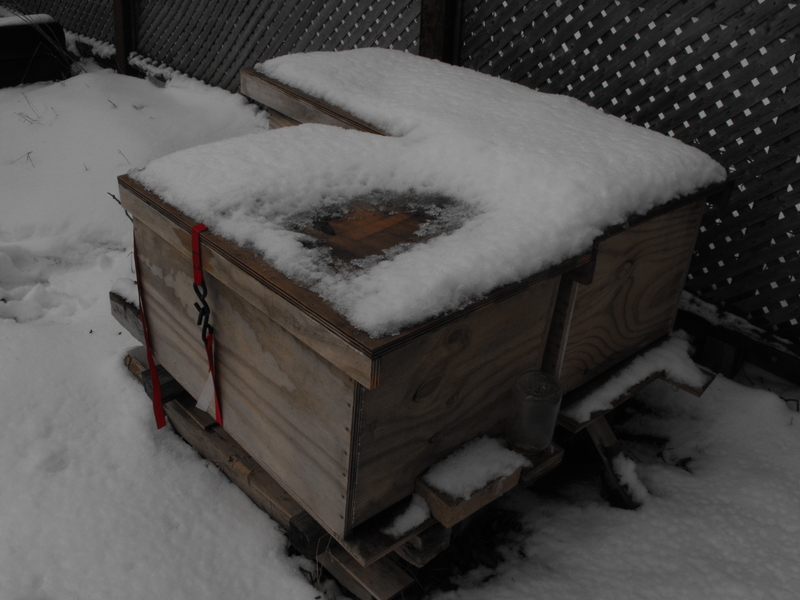 The Land of Beer & Honey | Your favourite beekeeper's blog. It had been some time since I looked in on Lili and Marjorie, and I’ll admit it’s because I was a little intimidated. Since they shared one long box, working on either one of them meant having both colonies open simultaneously, and I got stung on both temples last time I opened them. So I decided to separate them and built Marjorie her own box. 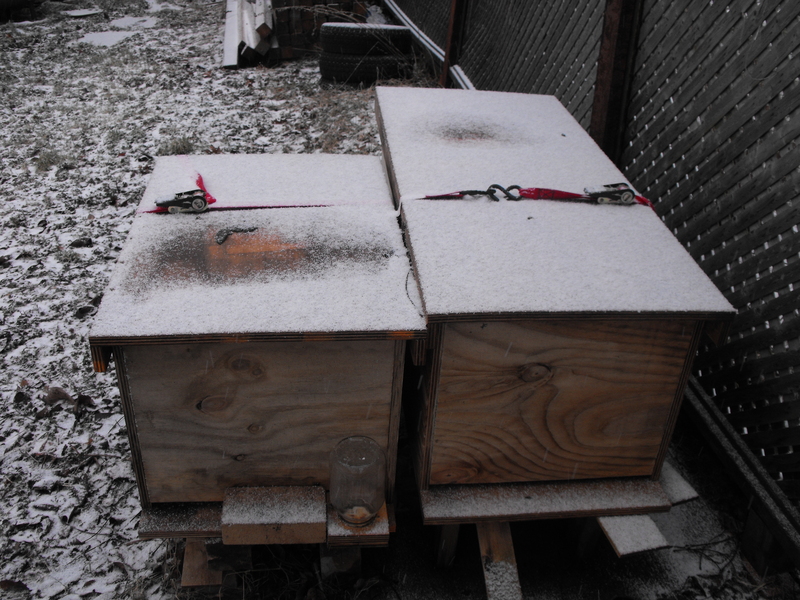 I was worried about how I was going to get the bees to reorient to the new box when the old one would still be sitting in the same yard, but that didn’t turn out to be any problem at all. Though Marjorie’s entrance faces north-east, her girls’ main flight path has always been to the south. As soon as I put the new box down beside the old one, returning foragers started entering as they flew around the corner. It was really remarkable to see so much excitement at the new box even before I had opened the old one. Though the move started well, I wasn’t as pleased with how it progressed. Dennis Murrell says comb correction is easiest when done early and often, and clearly I had waited just a little too long. Marjorie’s girls had built lots of beautiful white comb, but I was clumsy and tore a fair bit of it. What they’ve built on my top bars is nice and straight, but many of the lobes of wax they built on the old frames was crooked or off-center. I didn’t have the heart to scrape off all the offending comb as Dennis recommends. Probably a mistake–it’s only going to tear again next time I have a look at them, but I fit it in to the new box as best as I could. Now I’m worried about Queen Marjorie herself. I didn’t spot her during the move, but much of the mangled comb was brood comb. She was definitely laying well when I opened the box. Let’s just hope she didn’t get squished before I closed it. I didn’t have enough time to look through Lili’s combs on Sunday, and I imagine they are in the same state. 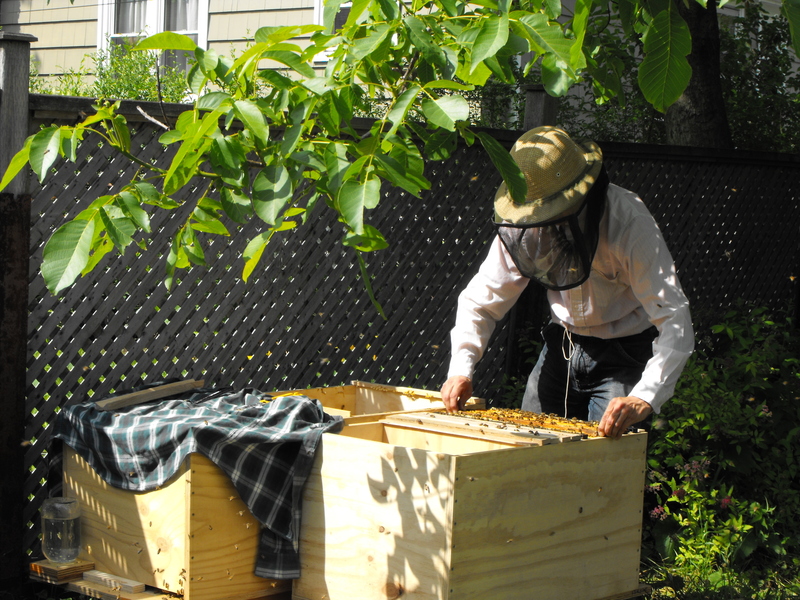 I had to get across town because I’d promised Latifah’s host that we would have a look through that hive before the end of the day. But that’s something for another post.